FaithFoodHealth is the destination for news and content offering coverage of the faith, food and health intersect, including agriculture, food and food justice, nutrition, wellness, gardening, seasonality, sustainability and stewardship of God’s creation. How taking care of your own health and creation can enhance service to each other and to God. Consider this your inspiration source for practical tips to help you on your journey. We will share ideas from individuals, congregations and others, scientific research and other helpful resources. We’re not into the latest trends and fads and we won’t waste your time with them. We draw inspiration and knowledge from the Bible and God’s creation, from scientific research and from your success stories. FaithFoodHealth is not affiliated with any denomination. We share a prayer that you may wish to use through the month or as inspiration to include saying grace at your mealtimes. We share a tip of the month that helps you become more mindful of one small, doable step that can make a difference in your health. Step by step we make it to where we need to be! Eating what is in season is a way to be mindful. We will share nutrition, gardening and health and wellness research. We’ll also share easy preparation tips and ideas since we know many people don’t know how to cook or think they don’t have time. FaithFoodHealth is published by Chester-Davis Communications LLC, owned by Leah Chester-Davis. Leah has nearly 30 years of experience in working to improve the lives of others through higher education outreach programs. Her background is in human environmental sciences and journalism, with a focus on science writing in the nutrition area. 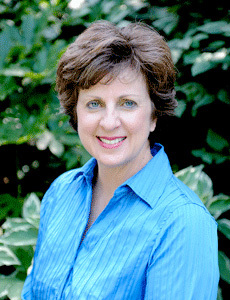 She has started, contributed to and coordinated educational family, youth, gardening and local foods programs and taps into a nationwide network of subject matter specialists in faith-based issues, agriculture, the environment, horticulture, nutrition and wellness, child development, parenting, aging, financial management, among other specialties. Disclaimer: FaithFoodHealth is designed to inform its readers about news and issues on the faith, food and health subject. While we strive to be responsible in the information we share – based on research, facts and personal experience – this does not substitute for medical advice. Leah Chester-Davis is not a trained dietitian, chef or medical professional. We encourage you to seek your doctor’s recommendations about your health.